Don't waste time and money, target visitors who you know will convert. 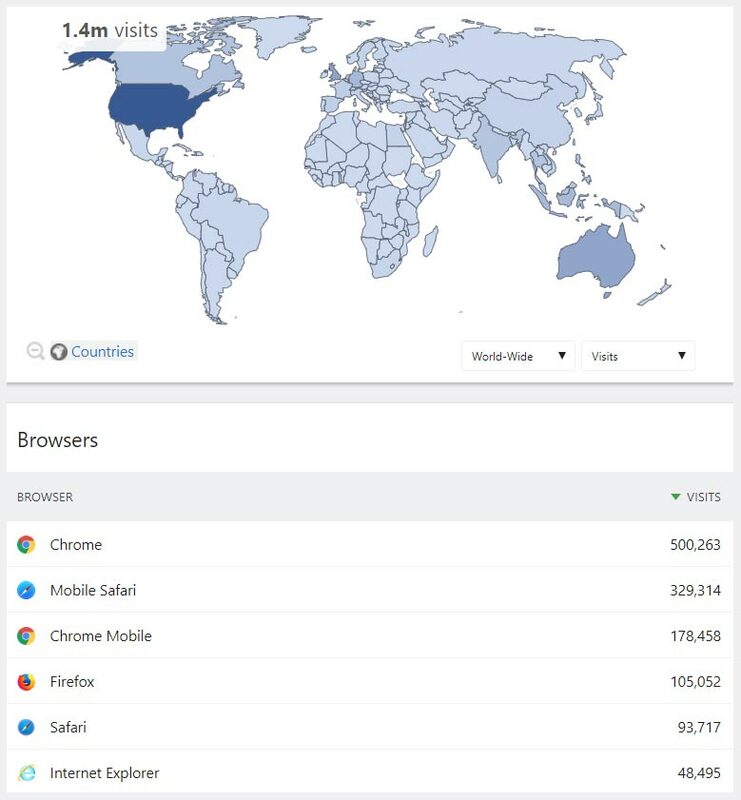 Understand where in the world your users are located, what device and browser they use, what time of the day is most popular for incoming traffic and know how many times visitors come back to your website before converting. All this play a crucial role in executing your marketing strategy. 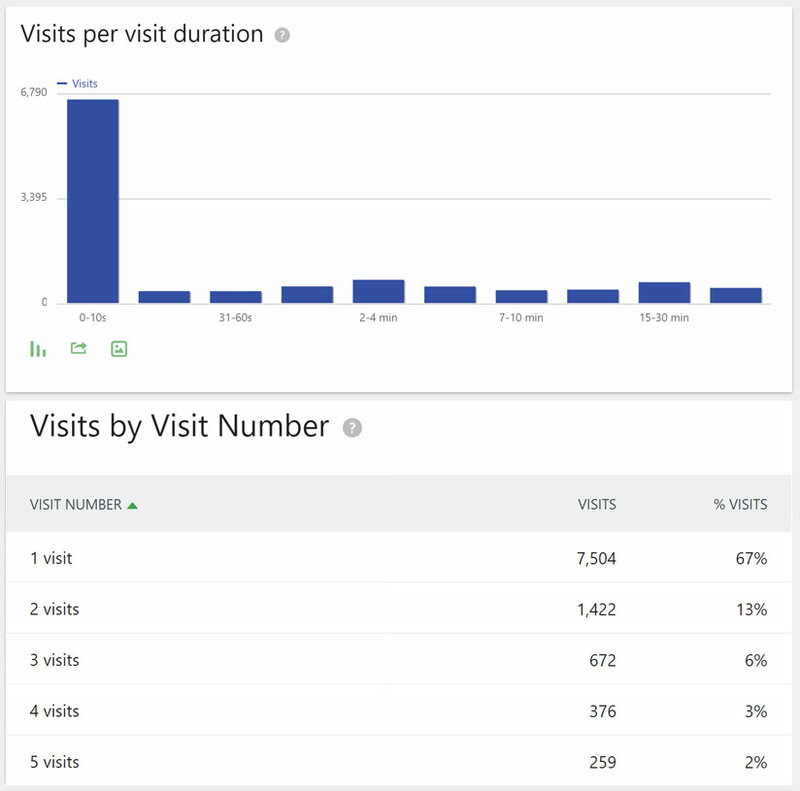 You can learn so much about your website visitors and customers through the Visitors feature. You will identify high performing areas for your business where you can maximise on converting your customers, as well as discovering new opportunities for growing your business. Discover the entire history of actions that individual users have taken on your website to see what a lifetime journey looks like. 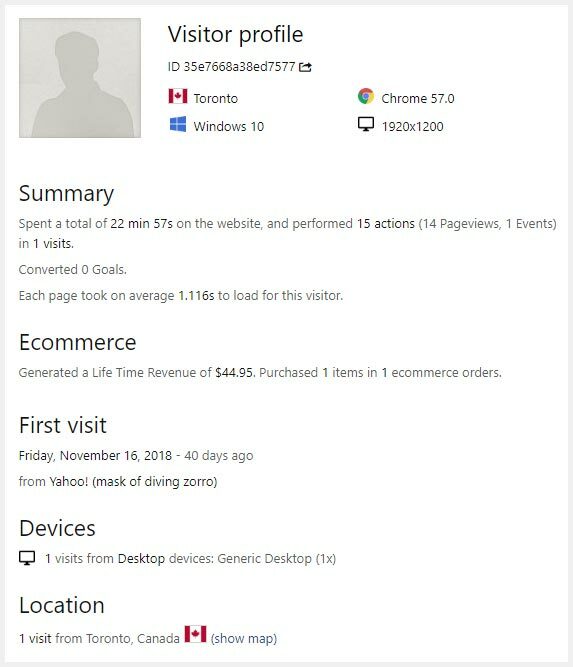 Visitor Profiles gives you the full story of every user who visits your website including all the actions they took, their location, browser and devices used. You will learn why users visit often but never convert, or on the contrary, learn what drives some users to convert more quickly than others. 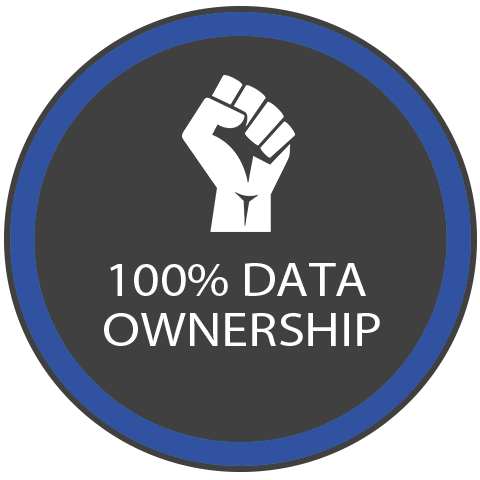 Make data-driven decisions based on how engaged your users are with your website. Perhaps a large portion of your visitors only visit your website once and never come back, or perhaps they stay for less than 30 seconds and possibly only visit two or three pages each session. You should be looking for opportunities so visitors stay on your website longer, see more pages and come back time and time again to become a loyal supporter of your brand. Set a benchmark for how engaged you want your users to be, and implement strategies and learn from the insights to convert your website traffic faster. Understand where in the world your visitors are and which areas are converting the highest to make smarter decisions when targeting your audience. You also need to ensure you understand how visitors are viewing your website. You may find results vary on different browsers or that the user-experience on a mobile device isn’t the same as on a tablet or desktop, causing a lower conversion rate. And finally, you will want to know what days of the week best converts visitors. For example, plan your marketing collateral to go out on days and times where you know your visitors are active to ensure a maximum ROI for your business. 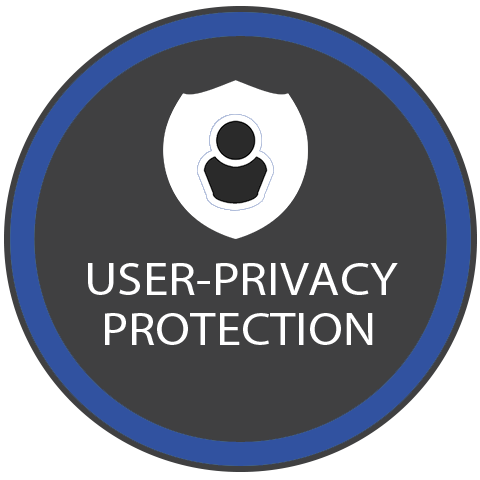 You can identify and keep track of your most important users by assigning an email address and their real name to a given profile. You will understand customers at a more personal level by discovering their visiting patterns overtime as well as their lifetime behaviour. This will give you deep insights into what interests your most loyal customers, allowing you to put forward marketing for their specific needs. You can track how performance has changed over time with the Row Evolution feature. 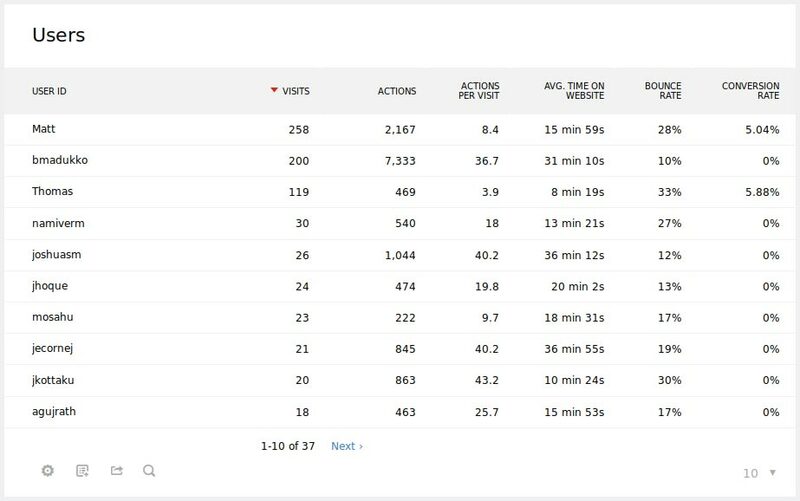 This way you can see if there were increases or decreases for location, device, browser, engagement etc. at any important time and discover what days, weeks or months had an impact on your business. You can prevent losing traffic when you see a negative trend occurring or you can capitalise when you see a positive response from your users. The Visitors feature lets you lay the foundation for your marketing decision-making, as you will know exactly who and where to target while defining the outcomes you want to achieve. 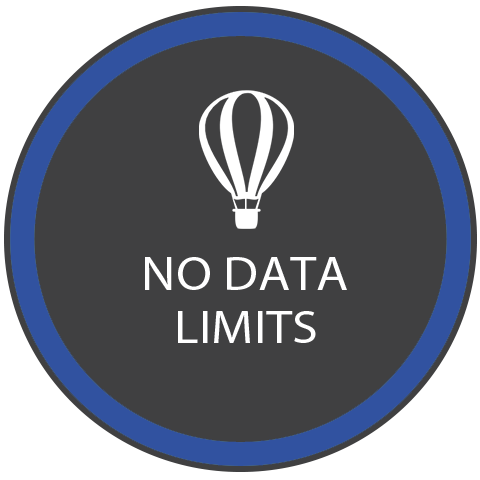 It’s time to start making smarter decisions, Start your 30-day free trial today to use Matomo’s full suite of complete analytics. 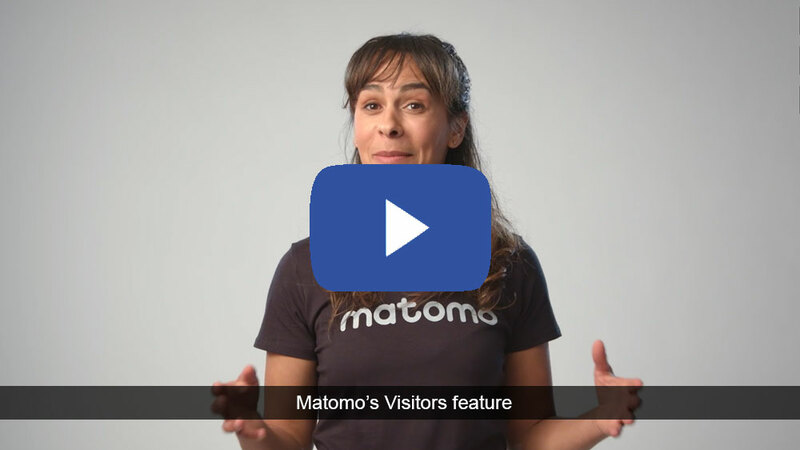 Or are you wanting to learn more about using Matomo On-Premise instead?